Publicis Omnicom has gone the way of New Coke and Microsoft Zune – ideas that looked great on paper, but sorely misjudged their audiences. The merger of the two advertising agencies was called off after it became clear the deal couldn’t be completed in a reasonable time frame, the two said on May 9. From up high, the Franco-American union was a triumph of financial logic. The companies were nearly identical in size and in earnings. Savings of $500 million created value, but didn’t suggest massive cuts. 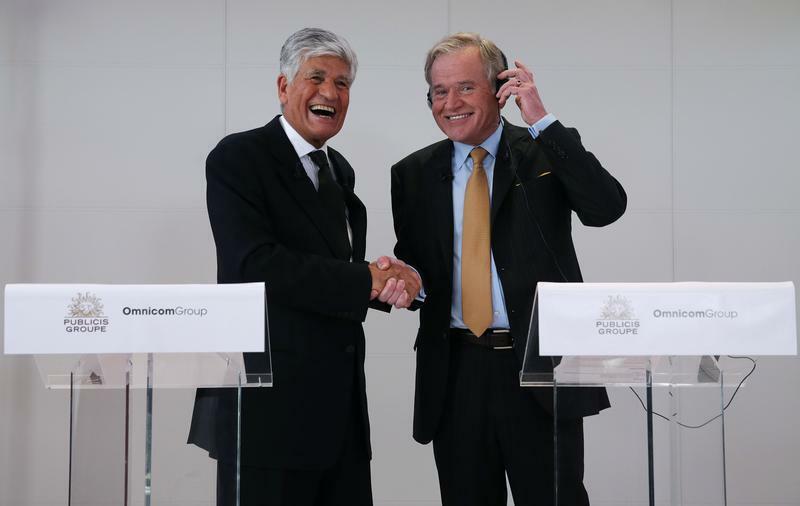 Publicis Chief Executive Maurice Lévy and Omnicom’s John Wren would have run the enlarged company, called Publicis Omnicom, together for 30 months. Wren would then have become sole chief executive and Lévy chairman. What Levy and Wren failed to account for was human behaviour. While their own management transition appeared elegant, it left plenty of room for bickering at lower levels. Key roles, like chief financial officer, remained undecided. Advertising is a people business, and it’s not clear that scale brings more creative ideas. Even shareholders were lukewarm – the stocks of both companies are barely higher than when the union was unveiled. Regulators too were slow to approve the deal. China’s antitrust watchdog, which was yet to assent, may simply have behaved with characteristic torpor, but France’s tax regulator may have legitimately asked why it should assist a deal that moves the company’s tax residence to the United Kingdom, helping shift $80 million a year from government coffers to shareholders. Perhaps the biggest reason for conscious uncoupling was clients. The companies’ biggest rival, WPP, had proclaimed that companies from Pepsi to Vodafone were shifting their loyalties. Even if that was just part of the normal cycle of agency rotation – and chief executive Martin Sorrell’s spin machine – it’s unlikely that clients and media companies would have benefitted from reduced competition. All decent ad execs know that if the client doesn’t buy the concept, it’s just not going to work. Publicis and Omnicom called off their proposed merger of equals on May 9, saying that it had become difficult to complete the transaction within a reasonable timeframe. The two advertising groups had said on April 24 that they were still waiting for a number of regulatory clearances, including a French tax ruling, permission to base the merged group in the United Kingdom for tax purposes, and Chinese anti-trust approval. Publicis Chief Executive Maurice Lévy and Omnicom’s John Wren would have run the enlarged company, called Publicis Omnicom, together for 30 months. Wren would then have become sole chief executive and Lévy chairman. The combined company would have been domiciled in the Netherlands and listed in France and the United States. The companies had a combined market capitalization of $35 billion at the close of trading on May 8.